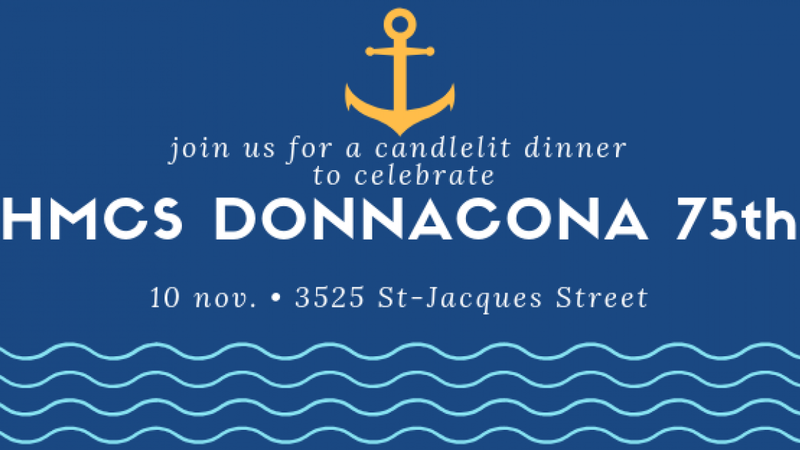 For more information about this event, please contact HMCS Donnacona at don.pao@forces.gc.ca. $125 per seat for the previous members and guests from HMCS Donnacona family. RSVP with the name of your guest before 29 October 2018.